Woods caught five of 10 targets for 70 yards and added a five-yard carry during Sunday's 13-3 loss to the Patriots. Woods brought in six of 10 targets for 33 yards during the Rams' 26-23 overtime over the Saints in Sunday's NFC Championship Game. He also lost three yards on two rushes. Woods hauled in six of eight targets, collecting 69 receiving yards during Saturday's 30-22 win against the Cowboys. Woods caught two of his three targets for 24 yards during Sunday's regular-season finale against the 49ers. He also rushed once for one yard. Woods brought in six of seven targets for 89 yards and a touchdown and rushed twice for 15 yards and another score in the Rams' 31-9 win over the Cardinals on Sunday. Analysis: Woods paced the Rams' pass catchers in both receptions and receiving yardage while scoring through both the ground and air. He got his day off to a rousing start when he answered an early Cardinals field goal with a four-yard rushing touchdown, a play he bookended by tallying Los Angeles' final points of the day on a 39-yard scoring grab in the fourth quarter. The veteran wideout could still be relied on next week if the Rams go for the No. 2 seed and a first-round bye. Woods caught seven passes (nine targets) for 74 yards in Sunday's 30-23 loss to the Eagles. He also added 19 rushing yards on his lone carry. Analysis: Woods led all Rams wideouts in receptions and yards, but Josh Reynolds took the honors of most targets (five receptions on 12 targets) this week. Still, Woods remains one of Jared Goff's most-trusted receivers, not finishing under 60 receiving yards in any contest since Week 1. It is unclear which Rams receiver will draw shutdown corner Patrick Peterson in Week 16, but expect Woods to find a way to stay involved (as he has all season) and provide a high fantasy floor, especially in PPR formats. Woods brought in seven of his 13 targets for 61 yards in Sunday's 15-6 loss to the Bears. Woods brought in five of nine targets for 67 yards and a touchdown in the Rams' 30-16 win over the Lions on Sunday. He also rushed twice for 11 yards. Analysis: Woods paced Rams pass catchers in receptions, receiving yardage and targets, and he also accounted for Jared Goff's sole passing touchdown of the afternoon with an eight-yard scoring grab in the second quarter. The veteran wideout now has touchdowns in back-to-back games for the second time this season and has logged at least seven targets in seven of his last eight contests. Woods figures to continue playing a prominent role in a Week 14 Sunday night showdown against the Bears. Woods caught four of 11 targets for 72 yards and a touchdown in Monday night's 54-51 win over the Chiefs. Analysis: Woods started Monday's scoring barrage with a seven-yard touchdown during the first quarter, marking his first trip to the end zone since Week 4. Although he wasn't too efficient while seeing double-digit targets for the third time this season, Woods at least hauled in four passes and topped 70 yards for the 10th straight game. The veteran will look to keep that remarkable consistency going when the Rams return from their Week 12 bye. Woods caught four of five targets for 89 yards, adding three rushes for 17 yards during the Rams' 36-31 victory against Seattle on Sunday. Woods caught five of nine targets for 71 yards and carried two times for an additional four yards during Sunday's 45-35 loss to the Saints. Woods hauled in five of seven targets, racking up 70 receiving yards during Sunday's 29-27 win against Green Bay. Woods caught five of seven targets for 78 yards and carried once for an additional six yards during Sunday's 39-10 win over the 49ers. 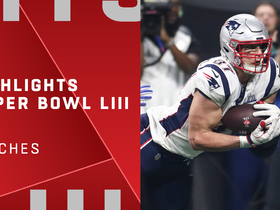 Analysis: Woods led the team in targets, catches and yards in this one, but the blowout nature of the game perhaps limited his opportunities. Despite that likelihood, the wideout continued his steady production as he surpassed 75 receiving yards for the sixth straight game. Woods could see a greater workload in what should be a high-scoring game against the Packers next week, and he could assume even more of the target share if Cooper Kupp (knee) remains sidelined for that contest. Woods caught seven of 10 targets for 109 yards during Sunday's 23-20 victory over the Broncos. He also rushed once for 12 yards. Woods caught five of seven targets for 92 yards and had two rushes for 53 yards in Sunday's 33-31 win at Seattle. Analysis: After failing to do much in the Rams' season debut, Woods has caught 26 of 32 targets for 378 yards and three touchdowns in four games since, acting as one of the main cogs in the Rams' explosive offense. He nearly scored on a 56-yard rush in the second half, but was tracked down from behind in the red zone. Cooper Kupp and Brandin Cooks left Sunday's game with concussions, so Woods will be in line for extra looks In Week 6 if either or both misses the Rams' matchup with the Broncos. Woods brought in all five of his targets for 101 yards and a touchdown in the Rams' 38-31 win over the Vikings on Thursday night. Woods had a season-high 10 catches (on 11 targets) for 104 yards and two touchdowns in Sunday's 35-23 win over the Chargers. Woods caught six of nine targets for 81 yards in Sunday's 34-0 win over the Cardinals. Woods was targeted nine times in Monday's season opener against the Raiders, but he finished with just three catches for 37 yards. He added a six-yard carry in the 33-13 win. Analysis: Quarterback Jared Goff spread the ball out very evenly, with Woods and Cooper Kupp each drawing nine targets and Brandin Cooks getting eight. Woods was outplayed by both of his fellow receivers in this one, but his workload here suggests the 26-year-old should pick things up moving forward. After all, Woods did top 50 receiving yards in all but four of his 12 appearances last season. Woods agreed Thursday to restructure his contract for the 2018 season, Field Yates of ESPN reports. Woods will be held out of Saturday's preseason game against the Texans, Myles Simmons of the Rams' official site reports. Analysis: Woods' absence appears to be part of a larger effort by the Rams to give their offensive starters extra rest ahead of the 2018 regular season, as right guard Jamon Brown is the only member of the first-team offense participating in Saturday's contest. Woods appears to be healthy and, barring an injury, looks on track to play Week 1 against the Raiders. With the Rams' starters out, look for Mike Thomas and Josh Reynolds to get a starter's share of snaps against the Texans. 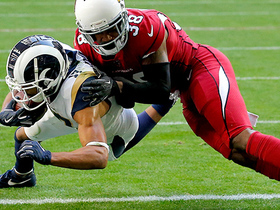 Woods said the Rams passing game has made big improvements from last year, ESPN.com's Lindsey Thiry reports. Woods caught nine of 14 targets for 142 yards during Saturday's 26-13 loss to Atlanta in the wild-card round. 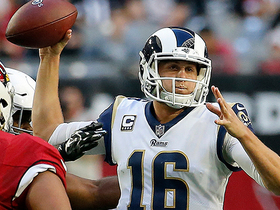 Head coach Sean McVay said Thursday that the Rams offense won't "see much" of Woods against the 49ers on Sunday, Rich Hammond of the Los Angeles Daily News reports. Woods was targeted eight times, but came up with just three catches for 33 yards in Sunday's 27-23 win over the Titans. Analysis: Woods was the odd man out in Los Angeles' passing game, as Cooper Kupp, Sammy Watkins and Todd Gurley (twice) all came up with receiving scores. 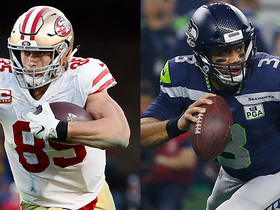 His workload may be lightened next week with Los Angeles having already clinched the NFC West crown, but Woods' 44 catches for 595 yards and five touchdowns in his last eight games played suggest he's more than capable of making an impact at home against the 49ers. Woods caught six of seven targets for 45 yards and a touchdown in Sunday's 42-7 win over the Seahawks. Analysis: Woods was targeted early and often in his return after missing the last three weeks with a shoulder injury. 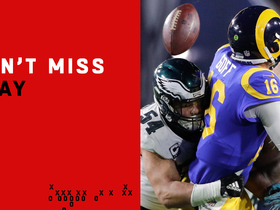 He saw three of Jared Goff's first four passes on the day but would only see one more after the one-yard touchdown catch that put the Rams up 27-0 in the second quarter. The 25-year-old has another favorable matchup Week 16 at Tennessee. Woods (shoulder) is not on the final injury report for Sunday's game in Seattle, Bob Condotta of The Seattle Times reports. Analysis: Woods answered any questions about his Week 15 availability when he upgraded from limited participation Wednesday to full participation Friday. Cooper Kupp and Sammy Watkins both thrived during his three-game absence, but Woods nonetheless figures to step back in as Jared Goff's most trusted target, facing a banged up Seattle defense that was just picked apart by Blake Bortles. Woods (shoulder) practiced in a full capacity Thursday, Alden Gonzalez of ESPN.com reports. Woods (shoulder) expects to put an end to a three-game absence and suit up Sunday at Seattle, Vincent Bonsignore of the Los Angeles Daily News reports. Analysis: The Rams' medical staff must clear Woods before he can return, but he's been listed as limited on the team's last two injury reports, indicating he's closing in on his goal. Sandwiched between those reports was a questionable designation for Week 14 against the Eagles, something he may be able to avoid if he turns in a full practice Thursday and/or Friday. Head coach Sean McVay said Monday that Woods (shoulder) is in line to return Sunday at Seattle, Gary Klein of the Los Angeles Times reports. Analysis: Woods indicated he was approaching the end of his recovery from a left shoulder injury with a limited showing in practice last Friday, earning a questionable designation in advance of Sunday's showdown with the Eagles. He proceeded to take part in a pregame workout but eventually was deemed inactive for a third consecutive contest. Woods could shed his injury designation entirely with a full session Wednesday, but more important is his listing on the final practice report of the week. Woods (shoulder) is inactive for Sunday's game against the Eagles, Myles Simmons of the Rams' official site reports. Woods (shoulder) is not expected to play Sunday against the Eagles, a source told Adam Schefter of ESPN. Analysis: Woods is expected to return the following week, according to the report. Woods is questionable on the official injury report after he returned to practice Friday on a limited basis. It was thought he'd miss this week before returning to practice Friday, but it sounds like the team will hold him out. Still, this report isn't official and a final decision may not be available until the Rams release their inactive list approximately 90 minutes before Sunday's 4:25 p.m. ET kickoff. Woods (shoulder) returned to practice Friday as a limited participant and is listed as questionable for Sunday's game against the Eagles, Myles Simmons of the Rams' official website reports. Rams head coach Sean McVay said Wednesday that Woods (shoulder) doesn't have a precise timetable for a return, Lindsey Thiry of the Los Angeles Times reports. Woods (shoulder) is listed as out for Sunday's game against the Cardinals, Mike Jurecki of Arizona Sports 98.7 FM reports. Head coach Sean McVay is hopeful Woods (shoulder) can return Week 14 versus the Eagles, but "a more realistic target" is Dec. 17 in Seattle, Rich Hammond of the Los Angeles Daily News reports. Analysis: Woods hasn't officially been ruled out for this Sunday's game at Arizona, but McVay's comments have sounded the death knell for a second consecutive absence. Absent from practice Thursday, Woods is instead focusing on rehabilitation of his left shoulder. As long as he's sidelined, the trio of Sammy Watkins, Cooper Kupp and Josh Reynolds will serve as the top wideouts in the Rams offense. Woods (shoulder) didn't practice Wednesday, Darren Urban of the Cardinals' official site reports. Head coach Sean McVay said further testing on Woods' left shoulder came back "more positive than expected," but Woods is still expected to miss a couple of weeks, Lindsey Thiry of the Los Angeles Times reports. Woods suffered a shoulder injury that initially isn't believed to be serious, though more should be known Monday after he undergoes testing, Michael J. Duarte of NBC Los Angeles reports. Woods' left arm was in a sling after Sunday's 24-7 defeat in Minnesota, Lindsey Thiry of the Los Angeles Times reports. Analysis: In the waning minutes of the contest, Woods was carted from the field with an unknown injury. The use of a sling could mean the ailment ranges from his wrist to his shoulder. As the Rams' No. 1 wideout, the team will likely update his status in a prompt fashion. That said, it can wait until the first injury report of the week, so his upcoming availability won't necessarily be relayed soon. Woods was carted to the locker room with an undisclosed injury near the end of Sunday's 24-7 loss at Minnesota, Jason La Canfora of CBS Sports reports. Analysis: Woods led the Rams across the board in receiving Sunday, posting eight catches (on 11 targets) for 81 yards. He has back-to-back performances with eight receptions, but it won't mean much if he emerged from the game with a serious ailment. Expect the Rams to touch on Woods' status in the near future. Woods caught eight of 10 targets for 171 yards and two touchdowns in Sunday's 33-7 win over the Texans. Woods caught four of five targets for 70 yards and a touchdown during Sunday's 51-17 win over the Giants. Analysis: Woods led the team in receiving yardage and tied his second-best output of the season in that regard, thanks to a 52-yard touchdown reception in the second quarter. 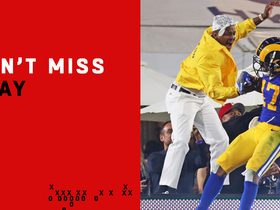 He later added a four-yard score before taking a seat with the game well in hand. Woods has emerged as a key cog in the passing game on a weekly basis, and he could become a viable fantasy play if he continues to see looks in the red zone. He'll look to do just that next week against the Texans. 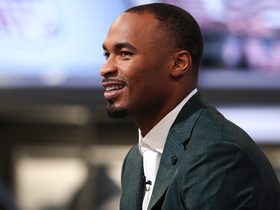 Los Angeles Rams wide receiver Robert Woods joins "NFL Total Access" to talk about head coach Sean McVay, his team's 2019 expectations and more. 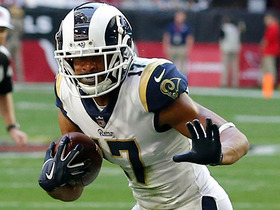 The "NFL Total Access" crew and Los Angeles Rams wide receiver Robert Woods discuss which NFC West team could dethrone the Los Angeles Rams in the 2019 season. 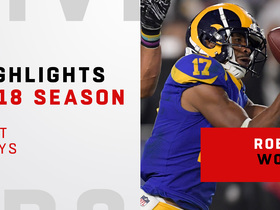 Watch the 2018 season highlights from Los Angeles Rams wide receiver Robert Woods. 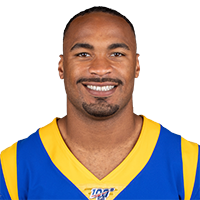 NFL Network's Cynthia Frelund reveals her game projections for Los Angeles Rams wide receiver Robert Woods. Los Angeles Rams quarterback Jared Goff throws a beautiful pass to wide receiver Robert Woods for a 39-yard touchdown. 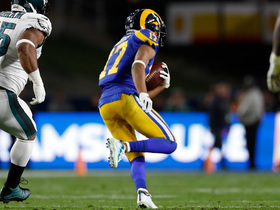 Los Angeles Rams wide receiver Robert Woods takes the hand off and runs outside for a 5-yard touchdown. Los Angeles Rams quarterback Jared Goff's mishandled snap goes horribly wrong for the Rams. Los Angeles Rams wide receiver Robert Woods takes off for a 19-yard gain.